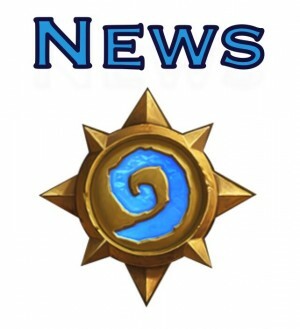 Welcome everyone to another weekly roundup of allHearthstone [Free] news, and apologies for coming to you one day later than usual. As I wrote about yesterday, I was at San Diego Comic-Con for most of last week, so I didn't have the time to put together a whole column. Still, nothing really happened last week anyway, right? Well, except that long-awaited announcement about new content coming our way soon. We've been seeing the signs for some weeks now, so I wasn't surprised to see tangible evidence of new content, but it's still nice to know we'll be getting new cards soon (how soon no one knows, yet). As you can imagine, most of this week's news was about the new expansion, but I tried to avoid simply giving you the same story over and over again. Still, there are a few stories about Karazhan today with the hopes of helping you prepare for Friday's announcement. There's also talk about the state of pro Hearthstone, popular decks of the week, the current meta, and more. So, let's jump in. The evidence is there guys, and it does look like we are getting a Karazhan-themed Adventure. As we wrote a few days ago, and as I've mentioned in the intro to this week's post, we finally have solid evidence that there is indeed an Adventure being announced soon, and everyone seems to agree that it's going to have to do with Karazhan and Medivh. All this info came out of a Blizzard announcement that invites people to a once-in-a-lifetime event full of magic and celebration. 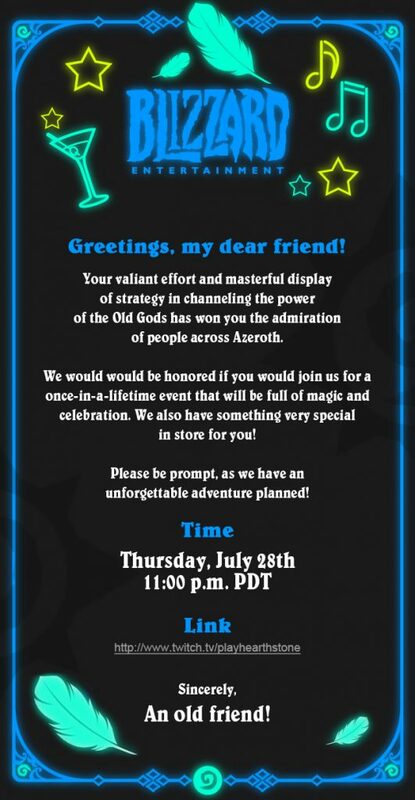 “Please be prompt,” the announcement requests, “as we have an unforgettable adventure planned.” The event will take place Thursday, July 28th at 11:00 pm PDT and will be streamed live on Twitch. The announcement includes feathers, drinks, and music symbols along with references to Azeroth, so everyone is pretty much convinced that all these are pointing towards Karazhan. Not too many days before we see for ourselves what Blizzard has in store. The evidence is pointing overwhelmingly towards Karazhan being the next Hearthstoneupdate, and HearthHead put together an article about what Karazhan actually is and what it could mean for the game. The story talks about Medivh's possession and the way he ended up going insane. It then goes on to talk about Karazhan, the ancient tower at Deadwind Pass, and its role in the WoW lore. When it comes to how Karazhan might change Hearthstone, which is what we're all more interested in, the article talks about the possibility of Mage, Priest, Druid, or Warlock getting a weapon for the first time. The article then goes on to talk about how the various elements of Karazhan might be used in the different classes. There are also some interesting locations Hearthstonecould visit in its next Adventure. Go here to read the full story, and also check out this GamesBeat story for more info on Karazhan. The official Hearthstone Twitter account has been tweeting pictures of cards but with minor differences; they are all ready to party. This is, of course, a promotional move that fits with the theme of the Adventure announcement we talked about above. 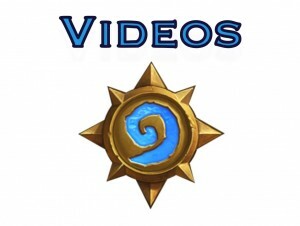 HearthPwn pulled together all the images, and you can check them out here. The changes are subtle but fun; for instance, Annoy-o-Tron has a goblet rather than a bell in one hand, Possessed Villager is wearing a silly party hat, and so on. Fun idea, and more evidence that Blizzard knows how to drum up interest. Annoy-o-Trons come standard with a variety of party enhancing attachments! If you are one of those planning on going to BlizzCon 2016, here's your chance to check out the contents of the goody bag. If you don't know what this is, the goody bag is given to those who attend BlizzCon in person and to virtual ticket holders (though the latter ones usually have to buy it). 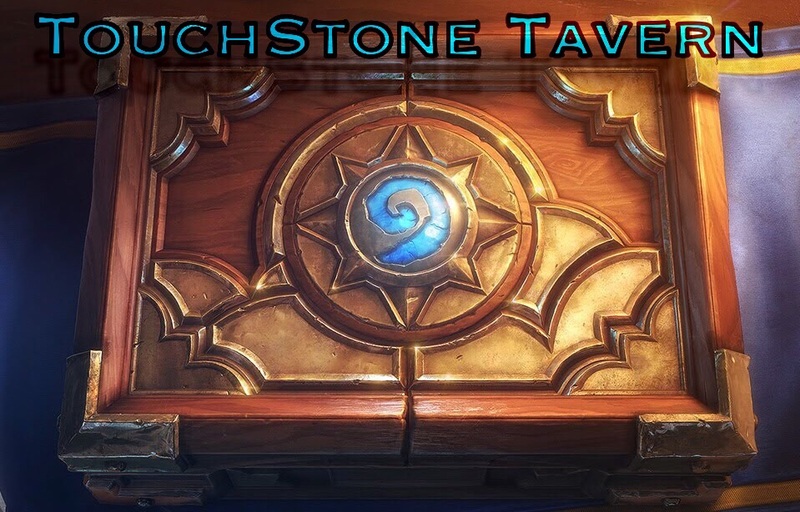 According to the box opening video and this HearthPwn story, the goody bag has an Elite Tauren Chieftain Keychain Tag, a Hearthstone Tavern Brawl microfiber cloth, a BlizzCon Stein, and other, non-Hearthstone related items. Check out the video below for a preview of coming loot attractions. If you wanted a good take on pro Hearthstone, it's hard to find better people thanHearthstone Casters Dan Frodan Chou and TJ Azumoqt Sanders. In this interview, they talk about the state of the game. Frodan and TJ feel the Whispers meta has been pretty much solved, partly because we only use Conquest or Last Hero Standing, which makes it easier to figure what decks are the best. Speaking about the many relatively unknown players we've seen in big tournaments recently, Frodan said that tournaments aren't a good way of figuring out who's the best. Then, he goes on to talk about how he feels we're missing out on the most competitive form of Hearthstone, Conquest, because what we use now isn't really relatable. The nature of the game in addition to how popular some streamers are have the effect of over exposure, and we get to see the same decks all the time. They then went on to talk about ways the pro scene can improve. The first, having new players enter the game constantly, is actually happening, and we need the community to not be all about a few famous streamers. The conversation then shifts to talking about the game as a whole, and Frodan talks about how other CCGs will find it hard to challenge Hearthstone because it strikes a perfect balance between accessibility and complexity. Read this very interesting interview here. As every week, HearthHead gathered interesting Hearthstone-related tweets, and they are an intriguing read. There's talk about Priest needing “cool new stuff,” talk about Aggro Shaman, Mill Decks, and more. Always an entertaining read because it's one thing to hear rumors and another to see it straight from the “horses” mouth. Check out all the tweets here. Said “a good priest deck might exist” and ppl think I meant I have a secret list. Not what I meant, but it's fun to see folks experimenting! This HearthPwn story has all the popular decks of the week, with such beauties as Worgen Combo Warrior, Token Druid, Wisp Zoo Paladin, Renogg Hatson, and Evolve Shaman present (among other ones). They range from a lowly 1500 dust to an astounding 12880, so plenty of variety and something for the wealthy and the poor among us. The list is not surprising and is another sign of how the meta has been figured out, at least for the time being. Check out the list here. In the lead up to World of Warcraft‘s Legion expansion, Blizzard has been releasing comics that fill in missing details. The latest one also relates to Hearthstone more directly since it's called Anduin: Son of the Wolf and is all about the Priest hero. In this comic, King Varian speaks of the dangers ahead, and Anduin realizes he must face his fears and decide his course. You can check out the description here, you can download the comic here, and you can also use the Madefire app to see it in action and with sound. After an epic tournament, Lifecoach managed to win the Seat Story Cup title, to many viewers' delight. The competition was tough, but Lifecoach managed to prevail after beating British player J4CKIECHAN 4-3 in the final. This was Lifecoach's first major victory of 2016, so he was quite happy. In the final, Lifecoach used his C'Thun Warrior to defeat J4CKIE's Tempo Mage and Yogg Druid, but with the series at 3-1, his opponent brought out a Dragon Warlock to beat Lifecoach's C'Thun Warrior and Camel Hunter. In the final game of the series, Lifecoach used an Aggro Shaman deck and got a relatively-easy win. Check out the story about Lifecoach's success here. The meta hasn't changed much, and we find another Dragon variant, Dragon Warrior, at the top of Tier 1 this week. According to the Tempo Storm Snapshot, Dragon Warrior can do everything Aggro Shaman can but just a bit better because it has very aggressive openers and a strong mid to late game that doesn't give the opponent a chance to breathe. Yogg Saron Druid is a new addition to Tier 1 after doing so well on the ladder. It has plenty of tools to work with and, so, manages to win in a variety of ways. Zoolock continues to reside in Tier 1, and Freeze Mage has made its way to Tier 2 because we don't see as many Warrior variants played anymore. Rogue, Paladin, and Priest still can't move beyond Tiers 3 and 4, which is sad. Vicious Syndicate, another good site for studying the current meta, breaks down the frequency of various archetypes and offers a good sense of where the meta is at the moment. According to the site, Dragon Warrior and Midrange Hunter are Tier 1 (when you consider all ranks) while for Legend, it's Midrange Hunter and C'Thun Warrior. Check out Vicious Syndicate here, it has loads of good info and graphs. As always, we have some good resources on the site for you in case you are new to the game or simply want to sharpen up your game. 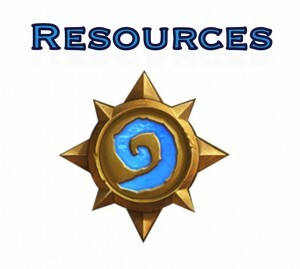 There's never such a thing as too much help in Hearthstone, so check out our guides.